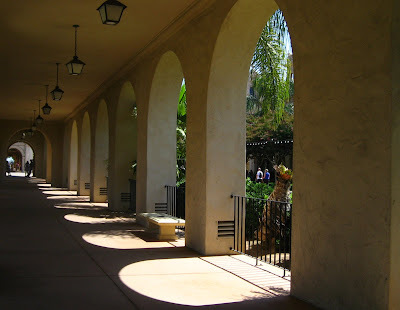 These two photos were taken on a recent outing to Balboa Park in San Diego. I love these arches. Shadow Shot Sunday is hosted by Hey Harriet, please go over there to see all the Shadowy people. Very pretty shadows. I will be in San Diego for two weeks the first part of January. I just might have to check out this park, thanks for the tip! Mmmmm...I love San Diego. Great shots. Love these shots! 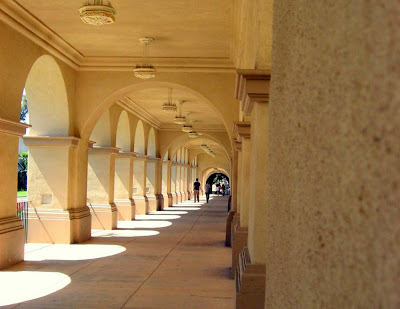 I'm mad about arches as well...something about the absolute symmetry, I think. Lovely pattern of shadows. Wonderful shot. You really have a perfect shot Jan!